I DID IT! Yesssireee! I did it! Remember when you were in fourth grade and they were picking teams for dodgeball and you were always picked last and then you grew over the summer and then the team captain who never realy liked you picked you……first! Remember that? Remember how excited you were? Did you see it from both angles? You know you want to scroll up one more time just to check out that adorable little loaf! I want to take a giant picture of it and post it on a billboard. I want to fly it from a banner on a plane. I want them to announce it from the international space station. SHE BAKED HER FIRST LOAF OF BREAD! So how did I accomplish this herculean task? 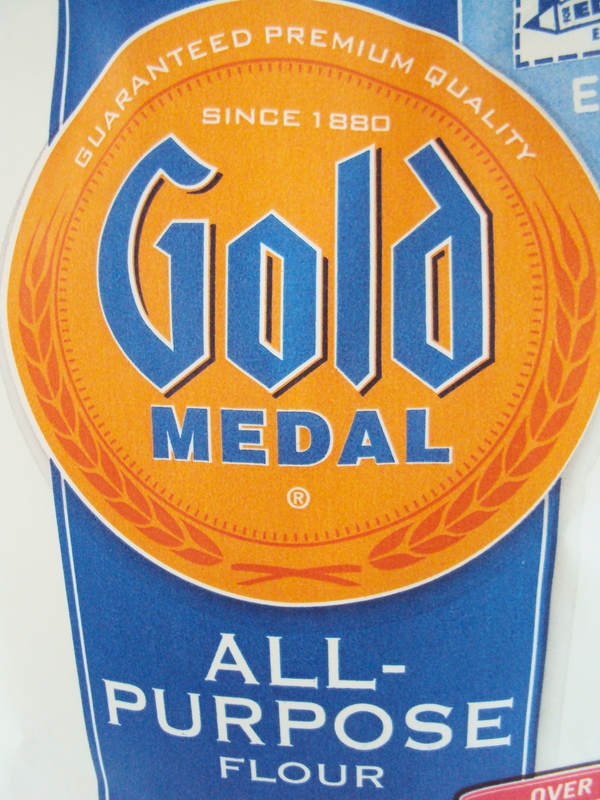 First, I bought one of these (notice the positive slogan….I am off to a good start)! …then I bought some of this…..
…. and this was truly the key to my success…..
….. I followed this recipe exactly as given to me by this incredibly talented and truly generous blogger. She is the reason why I was able to accomplish my “impossible.” She is the reason why my family tasted homemade bread baked by me for the first time in their lives. She is the one who gave me the courage to do what I would never even have attempted before. Thank you my friend. Truly…..thank you. And now….without further fanfare….here is her recipe…..
1/4 to 1/2 cup extra oil for coating bread while rising and after baking. 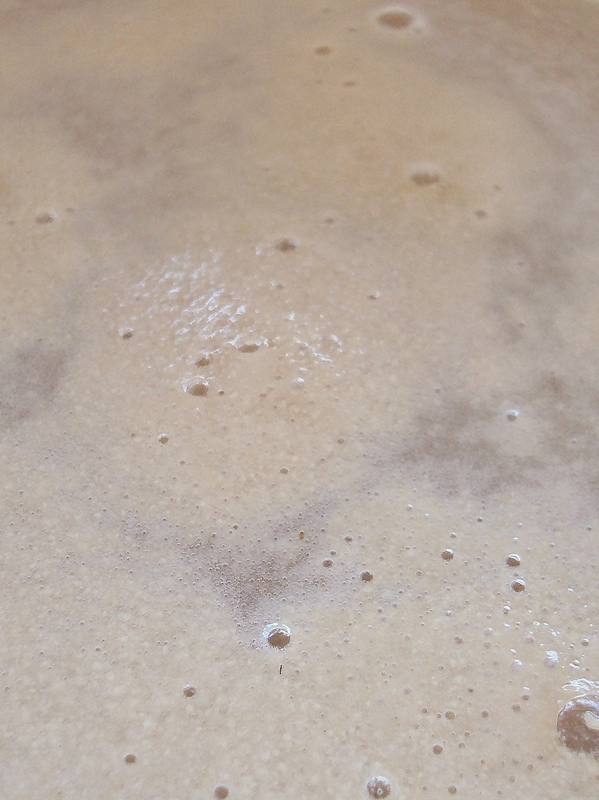 In a large mixing bowl, pour your fresh yeast into a bowl. Pour 2 c. water that is very warm, but not too hot. If it is too hot to touch, it will kill the yeast. Add 1/2 c. sugar. This gives the yeast food to grow. Allow this mixture to “proof” – meaning, it will sit for 10 minutes and show that the yeast is live by forming a layer of bubbles on top of the water. 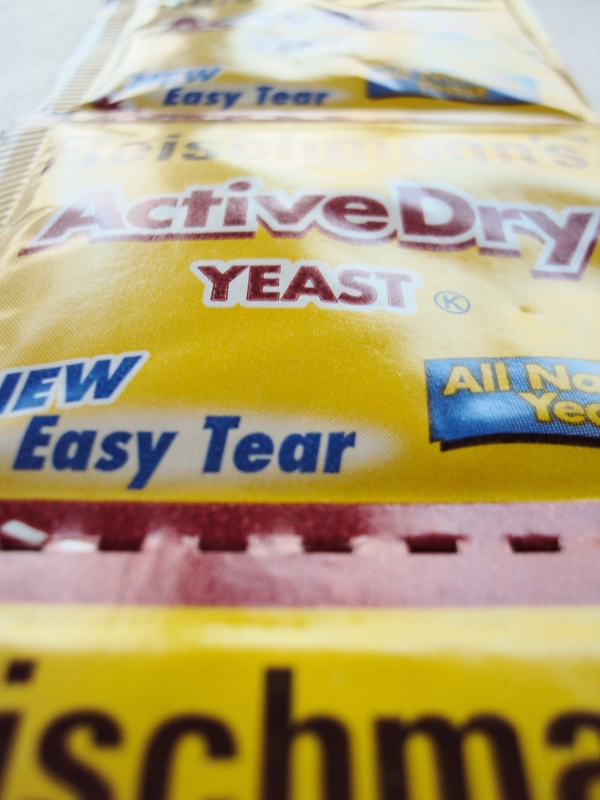 If this does not happen, your yeast may be too old. If it does form bubbles, continue with the recipe. (Aside….this is what the bubbles look like….exactly like she said…..isn’t it awesome)! Lightly beat the egg. Add the oil and salt. Add this to the yeast/sugar/water mixture. Next, add the flour a cup at a time, mixing it in with a wooden spoon as you go. It will begin to get very thick. Keep adding the flour. You’ll need at least 6 cups. You want this mixture to begin to look like torn up rags. 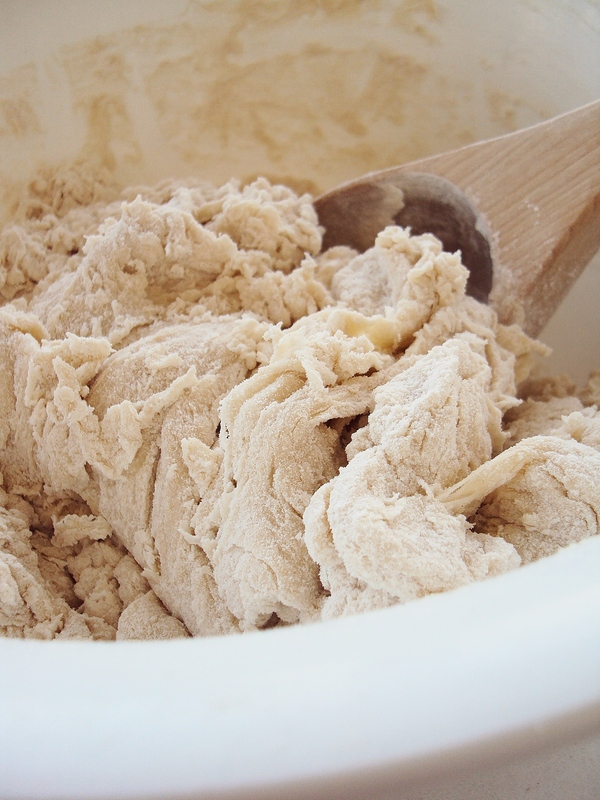 At this point, turn it out onto a lightly floured surface and knead it only enough to form it together into a ball. (Note to self. Buy a real wooden spoon instead of using one of your wooden salad spoons). (Second note to self. The color of that dough would be a perfect paint choice for the pantry). In your mixing bowl, pour a little oil – no more than 1/4 cup. Put the ball of dough in and roll it around to coat it on all sides with the oil. Cover it in saran wrap or a damp dishtowel and leave it in a warm place to rise. Rising time is variable – depending on the temperature. You’re looking for the dough to double. You can tell if it is doubled if when you poke your finger into the dough, the hole does not shrink back. It may take an hour or more. (Aside. Mine took an eternity to rise). When the dough has doubled, you literally punch it down. With your fist, punch the air out of it to flatten it. 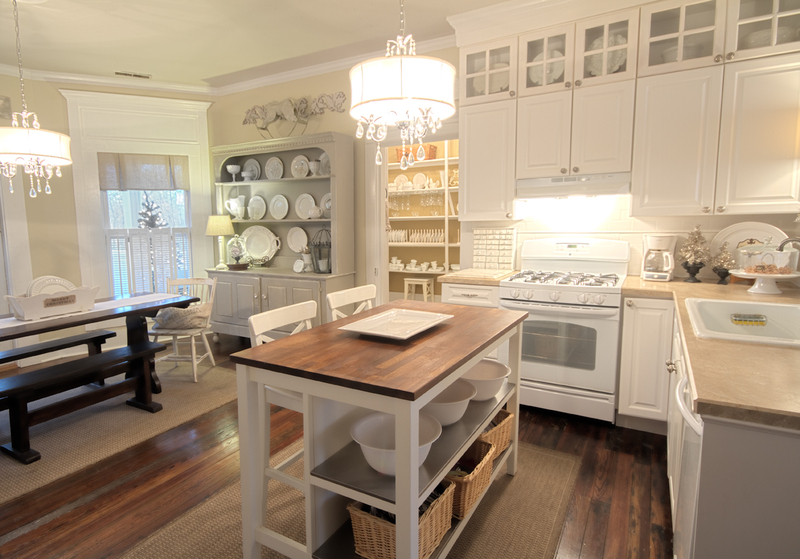 Now you’ll need a fairly large space to turn it out on – at least 2′ x 2′. Since it is now oily on the outside, you don’t need to flour your surface. Get your rolling-pin and roll out the dough as thin as you can get it. It will be about 2′ square or a little more. When you’ve gotten it this big and thin, fold it over and roll it again. Keep folding it over and rolling it until you have a rectangular hunk of dough roughly the size of a loaf of bread. If using pans, grease your pans with Crisco or butter. Cut this dough into 3 equal parts. You can make this as rustic round loaves or loaf pan loaves. 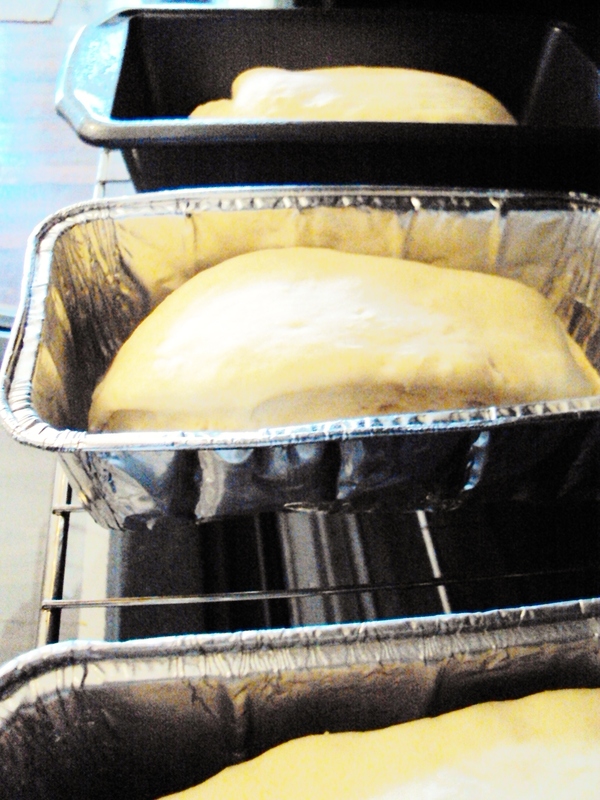 If you want pretty loaves, you take each piece of dough and fold the outside edges to the bottom. The top will sort of get rounded, and it will keep this shape as it rises the second time. Let this dough rise again until doubled. This time, just visually estimate that it has doubled. No poking. Preheat the oven to 350 degrees F. When the loaves have doubled, bake them about 30 minutes until they are nice and golden brown. Allow them to cool for at least 10 minutes – this is hard! Cutting them too early affects the texture, so it is worth waiting. Have some nice real butter waiting. And you end up with something that looks like this…..
…..that turned into this……in under five minutes. 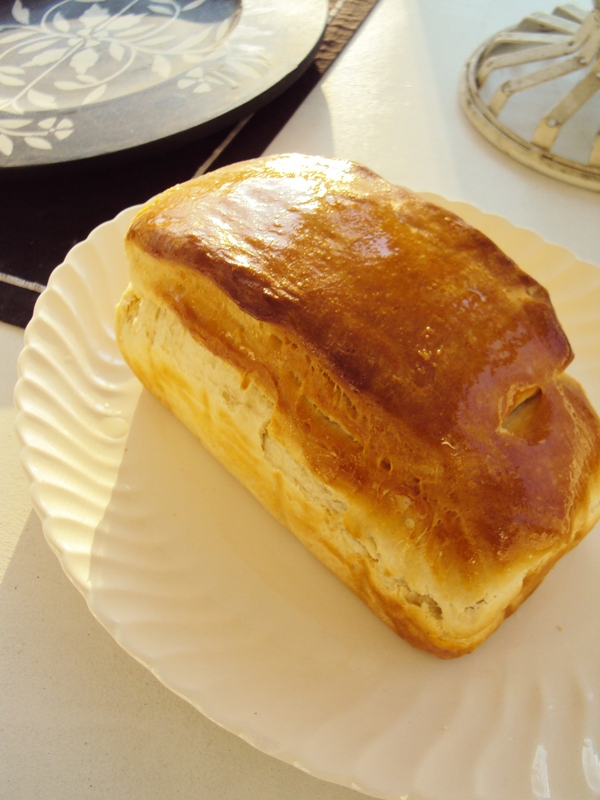 If you have never baked bread before……please try this recipe. Trust me when I say…..if I…..the queen of the hotdog pot pie…..can bake bread…..
…..you should be able to do it with one hand tied behind your back! So you have seen my “impossible” and now I want to see yours! Please join me and each of these incredibly talented and truly creative bloggers as we host a six blog linky party. The party starts tomorrow, January 31 from 7:00 EST until midnight on Friday, February 3. And don’t worry if you haven’t completed the project…..this “impossibles” party is about the journey. We want to see what you have accomplished. We want to see your progress. We want you to show it to the world! If you want to get started early….grab a button. So put it on a billboard….or fly it from a plane….or send it up to the international space station. You earned it. You have done what so many others never even attempted. Because you, my friend, yes, I am talking to…..you…. Okay that looks delicious, so you realize what you have to do now don’t you? You have to make us all a loaf! Congrats on your success! Oh wow! Congratulations on making your impossible, possible! That bread looks amazing! You go girl!!! Mission accomplished, girl– now go put your feet up! Great job. I am sure it was delicious and your family enjoyed every bite. OH MY GOODNESS! SHE DID IT! (Imagine I am at the international space station!) It looks so good. I am so impressed that you pulled this off. Way to go!!! Hotdog potpie? I want to see that…congrats on your bread it looks delish! WOO HOO, KARI….it looks fabulous, your photos are awesome and I KNOW it tasted delicious. I am really IMPRESSED! i can make anything, but yeast hates me. I might just give this a go. I laughed out loud when you mentioned hot dog pot pie. When my nieces were little they asked me if Grandma really made fish stick casserole. My brother raised his girls alone and apparently in an answer to a complaint about the meal, he threatened to make fish stick casserole. Yes, grandma reall did make fish stick casserole. Well “hot diggity dog pie” you did it!..Sending you the blue ribbon!..Congratulations on your “impossibility challenge” And, your family also reaped the benefits of your challenge..Great job and great recipe! When I say, “I think I can, I think I can”..my ever so positive, glass half full, hubby, says it is NOT, I think I can…it is I KNOW I CAN…I see bread making in my future! That is one beautiful golden brown loaf of bread. I wish I could have smelled it baking. I have never made bread either. You did a grand job. Now pat yourself on the back! I am so glad you tried – that is even more important than the success, but the success looks pretty impressive and obviously tasted even better. I know the other five tummies were so grateful. Now what is the next possible -impossible task? It’s beautiful! Sounds as if it might be the sort of bread I’m looking for with that ½ cup of sugar. Now you’re in the bread business! Stunning! What gorgeous photographs! I have fun saffron and cardamon buns coming out early next week that you’ll love. 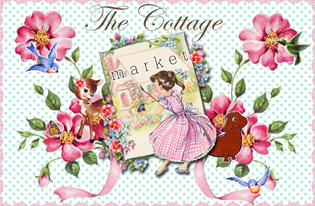 So glad to meet you over at my blog 🙂 Hope that you pop by and share a Valentine’s project today at my party. Congratulations, it looks beautiful! I can almost smell it! Congratulations! So glad that you were able to master that feat. That bread certainly looks delicious. I bet it smells even better. Of course, you do know that now your family is going to come to EXPECT homemade bread from now on. See what you’ve started?! Ha! I remember making a casserole that took a long time to make and everyone loved it so much that they request it all the time. Now, I sort of dread making it. It does make me feel good though that they think of me when they eat it. That’s what will happen when they eat your bread. It will become your signature item. Thanks for sharing that recipe. I may try it out some time. You deserve a real wooden spoon of honor for this!! I’m sure your family expects this weekly so better start baking! Congrats – you are a real baker now. Define “eternity!” If it really did take a loooong time to rise, the first time, you may need a warmer place. There are all kinds of suggestions for that. Just look at that work of art, and your family devoured it. What a testament !!! The color and the texture look perfect. 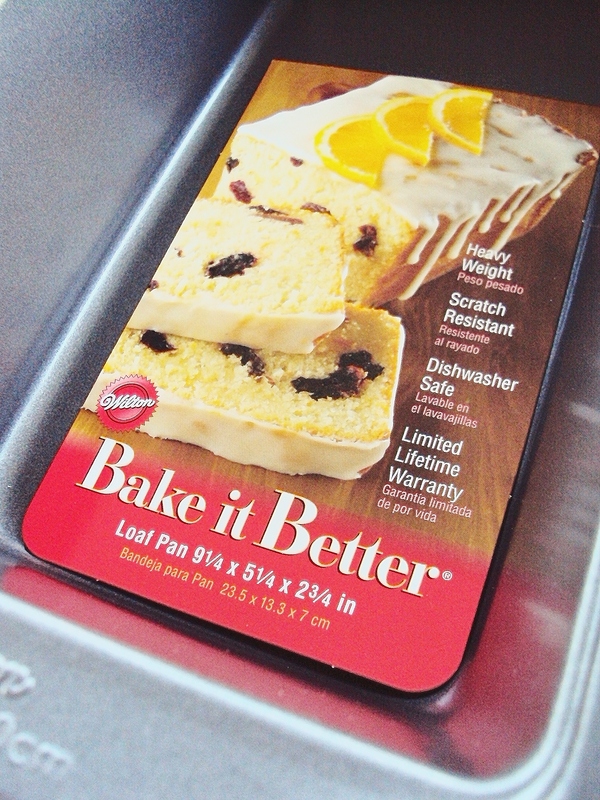 Are you up to baking more? We’re all on our way to your home. Congratulations! I am soooo impressed! I have never even tried to bake a loaf if bread! Sad, but true. I need an almost did it button :)…I am going to try this bread. It looks so good! Wow, I’m so impressed! I loved your comment about hot dog pot pie 😉 You’re such an inspiration! 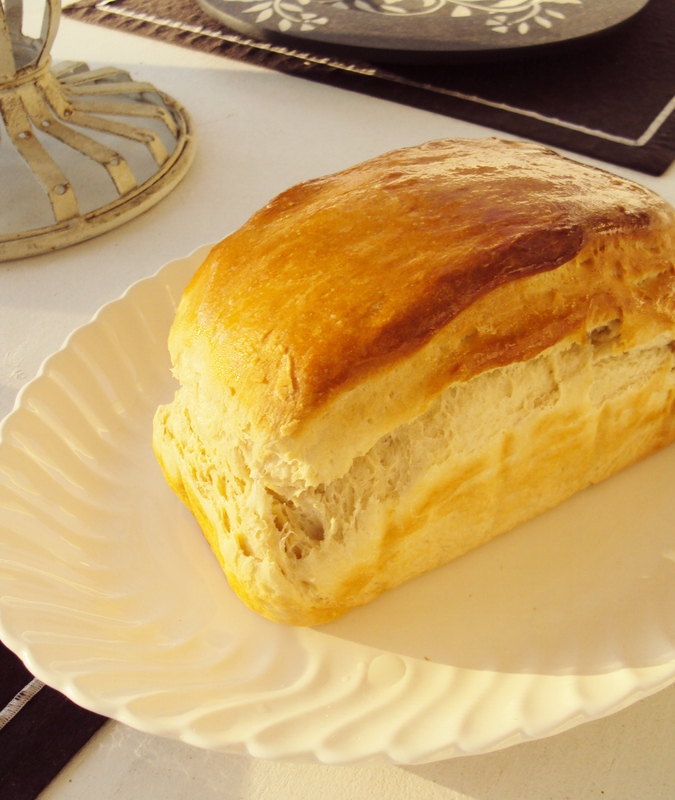 I have been craving homemade bread….. and your’s looks fantastic! Guess what I’ll be making this week? 🙂 thank you for sharing and congrats on a job well done! Congrats on baking bread! It looks yummy! You did it! It is beautiful, Karianne!! And none left for me? I am so excited for this party…and I finished my project! This party needs to happen more often! Beautiful loaf of bread! So proud of you. I have trouble with breads and pie crust. I think I work the dough too much. I am going to try your recipe. Thank you for posting and for giving this bab breadmaker hope! it looks super yummy too and i bet it is just divine with fresh REAL butter!! what did your family think? thanks so much for dreaming up this challenge and including me!! Ta Da! You did it! Way to go. It looks delicious. Isn’t fresh bread the most wonderful thing? My mouth is watering. Thanks for sharing this recipe, and congrats on your first bread. I’ve been working on learning to bake bread for a while now, and this will be the next recipe I try. Mmmmm, that looks delish. Nice job. Love the photo. I can’t practically smell it. Yay, you did it! Now you need to try the whole artisan bread in five minutes a day thing. Basically you take five minutes and mix a few ingredients. Let it rise for two hours (no kneading or punching) Put it in the fridge and whenever you want fresh bread for dinner you break some off and bake it up. The dough lasts in your fridge for about two weeks. 🙂 Here’s the link if you want to try it. I’ve had really good luck with it, and hello bread on swim team nights, priceless! there is nothing better than warm bread…. YUM. Yummy! I’m so glad you ate it warm because it is the BEST that way. I’ve only ever made bread in the bread machine, so I appreciate you doing it the “real” way! YAY!!! (Can you hear the hand-clapping?) I am so proud of you!!! You, my dear lady have don’t marvelously!!! Bread baking is not easy, so when you do it and the result is as perfect as yours, it needs to be celebrated! Your impossibility became your possibility! Congratulations on achieving your ‘impossible’. That loaf looks sooo good – I’m going to have to try that recipe myself one day. Hopefully I’ll be linking up my ‘finished challenge’ tomorrow ! I hope you’re going to continue with your new found skill !!! You did it! Congratulations you achieved the impossible! I must say your bread looks delicious. Congrats!! Looks so yummy I can almost taste and smell it here in Kansas! Will have to try your recipe! now i just need your address so i can send you your ribbon award. i’m going to have to give that recipe a try. yummmmmm. Oh I am so proud of you, my Dear!!!!!!!!! It looks simply deeeeeeeeeelicious. And I’m sure it was. And I’m sure you are pleased-as-punch with your accomplishment. And well you should be! And you did do it, all by yourself…. Great job! It looks absolutely delicious! I knew you could do it! I shared my pillows on my blog today! Can’t wait to link up tomorrow! Freshly made bread is always the nicest bread it is great that you have managed to bake your own…………. Mmmm…just like my Nana use to make! Congratulations, you did it. I never doubted that you could. I just wish I could smell it. Baking is no easy feat, so congratulations. Especially making a yeast bread, that is a feat worth bragging about. I do bake, mostly challah (with yeast!) and banana bread, since we always have so many bananas left over. Keep up the good work, your family must be so happy! Oh WOW, this looks totally delcious!! and I’ll bet the aroma was amazing! Thanks SO much for coming to visit! It’s awesome to meet you! Oh yum that looks so Delicious! I can almost smell the warm goodness. I am thrilled to share my post tomorrow. See it was just life a craft, but a delicious craft. Congratulations! Congratulations! Baking bread has always intimidated me, I chickened out years ago and bought a bread maker, and feel as tough I cheated myself out of a great experience. 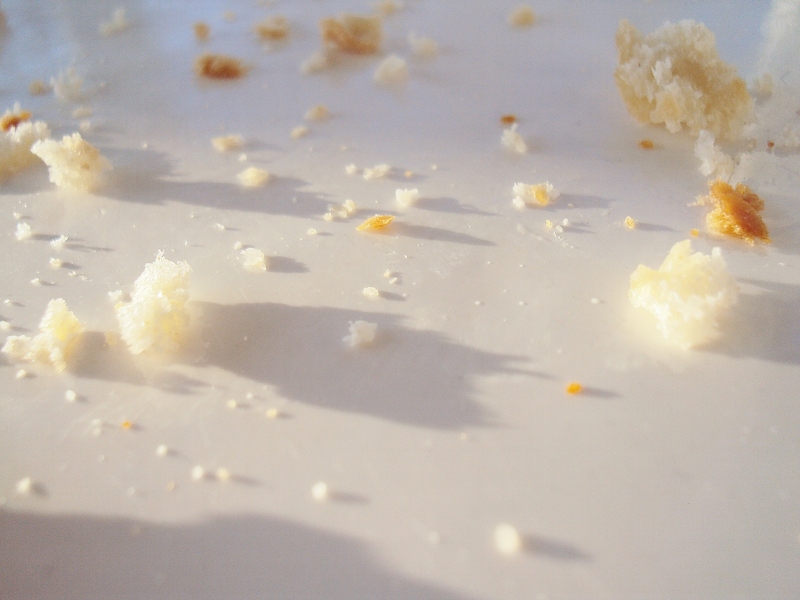 ~smile~ You did well, and the photo of the crumbs tells the story of success! thanks for sharing., and am looking forward to you sharing more recipes. Woohoo! Bravo YOU! Now if you could only figure out how to share a taste with all 62 of us! i’m in carb-overload just looking at that beautiful loaf! (your photos are fab!) why am i not surprised that revi is your source of inspiration? she just oozes sweetness, doesn’t she? and, yes, i’ll be making this bread…quickly…before bathing suits are in sight! Congratulations!!!!! It looks superb! I can’t wait to make a loaf of my own….and let me just say if it does not get made in a bread maker, it does not get made. So, I am trusting that this recipe can also be made by me. LOL! Incredible! The impossibles are happening! I’ll be linking back to you tomorrow! 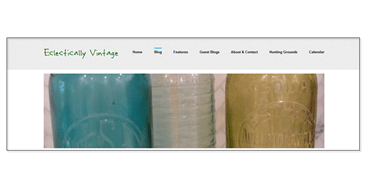 I just found your blog through the challenge, and I have to say, I love it! I will definitely be coming back! Way to go Karianne…I’m so proud of you!!! The bread looks delicious, and so very fluffy…just like from a bakery, you deserve a standing ovation! I’ll be posting my little experiment tomorrow…thank you for inspiring me to tackle my own bread fears…it feels good! Oh boy! That bread looks delicious. I’ve only tried making bread once – a terrible, terrible disaster! Mr D can do it (but doesn’t very often) but I bet yours is better than his. I’m off now (rather shame facedly) to display my “impossibility” – I haven’t been quite as successful as you, I fear! Yaaaay ! You clever little thing Karianne. What a perfect loaf of bread (and no bakery bag in site ! lol). I am very proud of you. It looks yummy ! Pingback: View From The Teapot » Blog Archive » I (sort of) Made It! it is indeed an adorable little loaf. color me impressed. seriously. very impressed. That’s some truly beautiful bread you got there – well, HAD there! Thank you so much for co-hosting the Challenge! I am so proud of you! You have taught yourself a skill that you will be able to build on forever. Once you have mastered the basics of bread-making, you can make any kind of bread you can dream up. I taught myself when I was a very young woman (that was a long time ago), and I still take great pleasure in the process. Now should apply these skills to pizza dough, which is even easier than this. It makes all the difference, and who doesn’t love pizza? So HOW did it taste?! Will you make it again? Was it worth it? So many questions! Congratulations on conquering the impossible! I am licking my lips dying to imagine a taste of that bread – the picture makes it look so delicious and buttery and perfect! Are you going to be baking bread all the time now? 🙂 Thank you so much for co hosting the challenge! Yay! Looks delicious and I’m sure it was. Thanks for the great tutorial and for hosting the challenge! Thanks for taking me back to 4th grade and reminding me of the one time I was picked first. Great feeling…. anyhoo, you did it! And it looks super delicious! Congrats on making bread that actually rose, baked, and turned a lovely golden brown. Are you sending out samples to your readers by any chance??? I can never bake a light airy bread … way to go. This makes me want to try again, thanks for the inspiration!!!! I love this post! My efforts at breadmaking (and cake baking) have been a family joke around our table for many years. I don’t like to measure so exactly, and kneading and rising is a bit too tedious for my taste. Doesn’t it just kill you that after that first hour you have to punch it down and let it rise AGAIN??!! But here it is…the Never Fail Bread Baked Better. You created a beautiful loaf, apparently tasty too. I’m so inspired! Thanks so much for the challenge – this has been lots of fun! You made me spew diet coke out my nose! I find the whole process of baking (and eating warm) homemade bread good for the soul. Hope you found the same. Thank you so much for this post! I was immediately inspired and started baking yesterday. It really wasn’t that hard and my house never smelled so good. I am eating the leftovers and have now scratched bread off my grocery list, replacing it with flour. 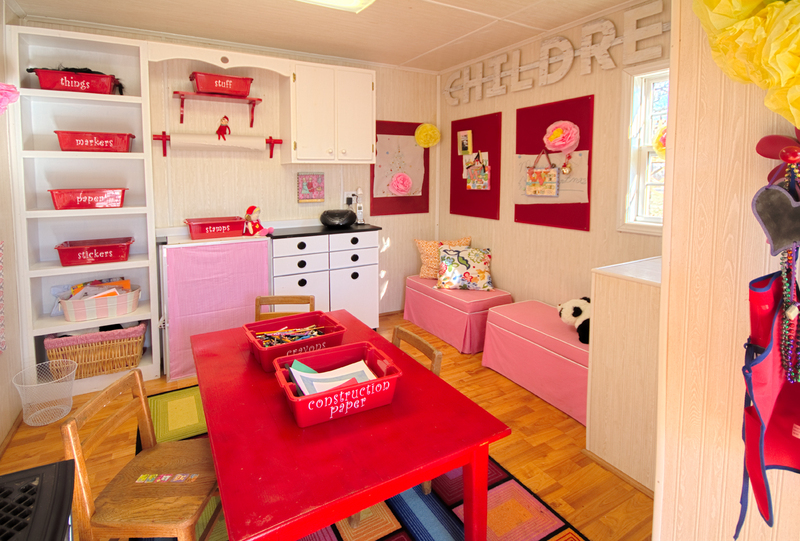 This is the journey of how a house became a home. These are the pages of our story. Pages filled with chalkboards and burlap and homemade bread and befores that become afters and an occasional dust bunny or two. Life is a sequence of moments called…now.